The Paul Williams Gallery showcases photographers, painters and sculptors, each show having a different character and a different theme. The Paul Williams Gallery has been gaining momentum attracting attention from as far away as India, Europe and Australia. The Paul Williams Gallery began life as the primary post office for the City of Ontario in 1926. It functioned as the main post office from 1926 to 1941 when a newer building took its place on Holt Boulevard. The interior of the Paul Williams Gallery is unchanged for the most part, there are rough cut beams of the ceiling and the ceiling is decorated with gold leafed and painted flags of the different German cities. 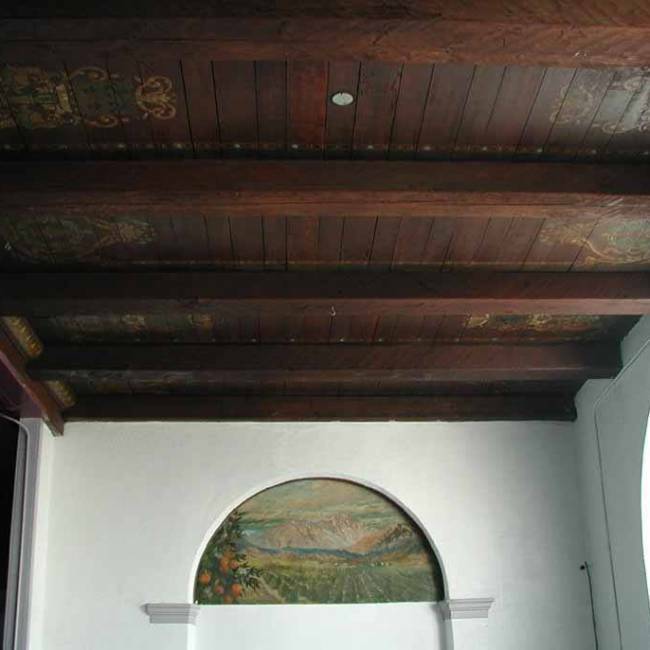 Two murals on the East and West end done by renowned painter, Carl F. Ruhneau, depict Mt. Baldy and San Gorgonio peaks. The floors are terrazzo and arched windows adorn the North elevation. For appointments please call (951) 880-7432.